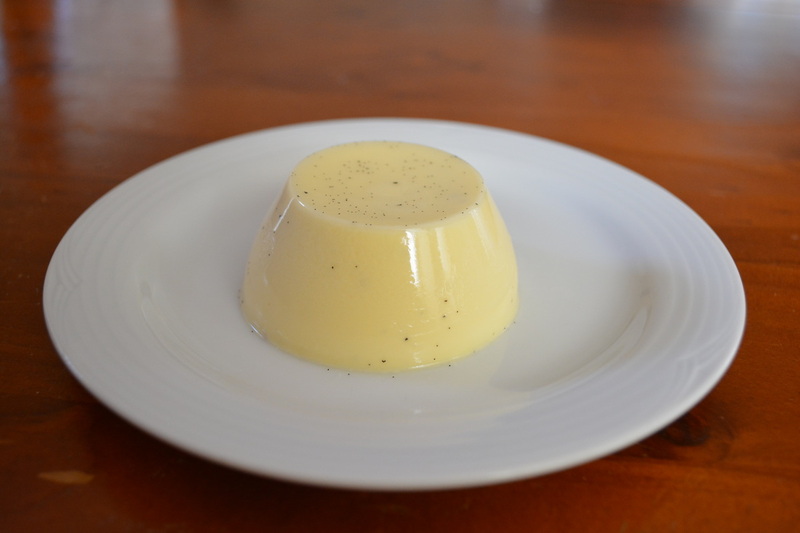 Today I made my first ever panna cotta. I cannot believe after cooking for so long I had never attempted it. But today I decided I wanted to give it a go. It set perfectly, it wobbled like a pannacotta should, it was creamy not rubbery, it came out of the mould with ease. The flavour was beautiful, it was divine. This was so easy to make, it was actually ridiculously easy to make. I will be making this more often now as my kids loved it to and it can be made with ingredients I usually have in the house. A note from the original recipe (which I did not do with the plastic moulds) was to rinse the stainless steel moulds, glasses or bowl you will be setting the panna cottas in with cold water before filling them, not sure why, but I thought I'd add it here just in case. I will also say I prefer the plastic moulds to the stainless steel ones, but either is okay. 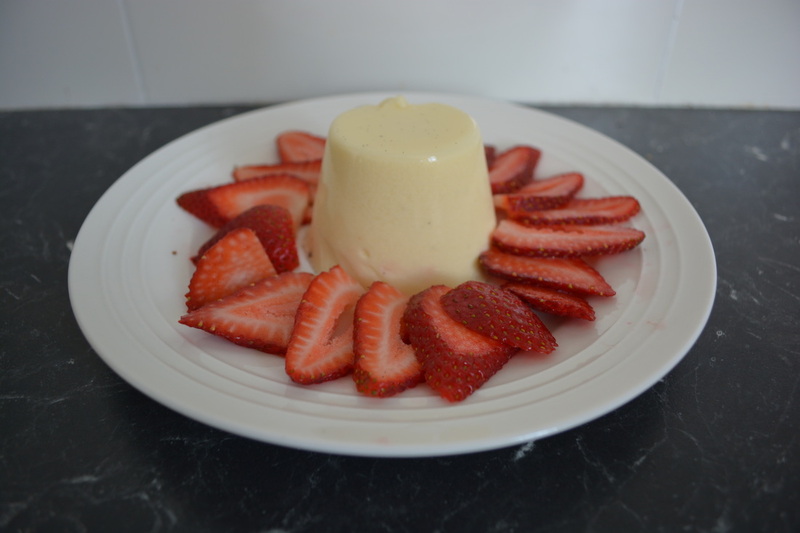 Give the panna cotta a go, if I can get it right on the first go, you can to. Put the cream, milk and sugar in a medium saucepan. Split the vanilla bean in half lengthways, scrape the seeds from the vanilla bean with a knife, place the seeds and pod into the cream mixture. Place the saucepan over a medium heat, stir the cream mixture until the sugar dissolves and the mixtures comes to a simmer. When heating the cream do not let it boil or it will scald. While the cream mixture is heating, put the gelatine powder and water in a medium sized bowl. Put the bowl over a pan of simmering water, don't let the simmering water touch the base of the bowl. Gently stir the gelatine occasionally until it has dissolved in the water. Remove the bowl from the pan and allow to cool for 5 minutes. Remove the cream mixture from heat once it has come to a simmer. Remove and discard the vanilla pod. Stir the gelatine mixture into the cream mixture until well combined. Now I used 7 x 1/2 cup capacity plastic moulds (you can use other moulds, see notes above). Place the moulds in a baking tray that just fits the moulds side by side. Transfer your panna cotta mixture into a pouring jug and pour evenly into the moulds. Cover each mould with plastic wrap (my moulds come with a lid) and refrigerate for 4 hours or until set. To turn out the panna cottas, loosen them by sliding a knife gently up one side of the panna cotta, this will create an air pocket which will help them slide out easily. Turn out the panna cotta onto serving plates.